Who is responsible for global warming? Is it poor countries with large populations? Is it countries with small populations but high emissions? Is it countries with a historically high share of total emissions? The position of the developing countries since the very beginning of the international climate negotiations (in 1991) has been that we must look at who is historically responsible. 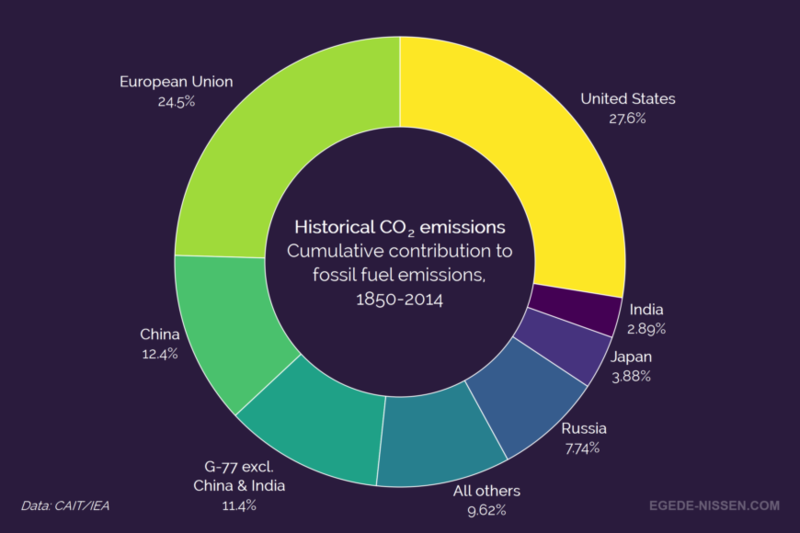 They point out that the industrialized countries have produced the lion’s share of the emissions since the Industrial Revolution. 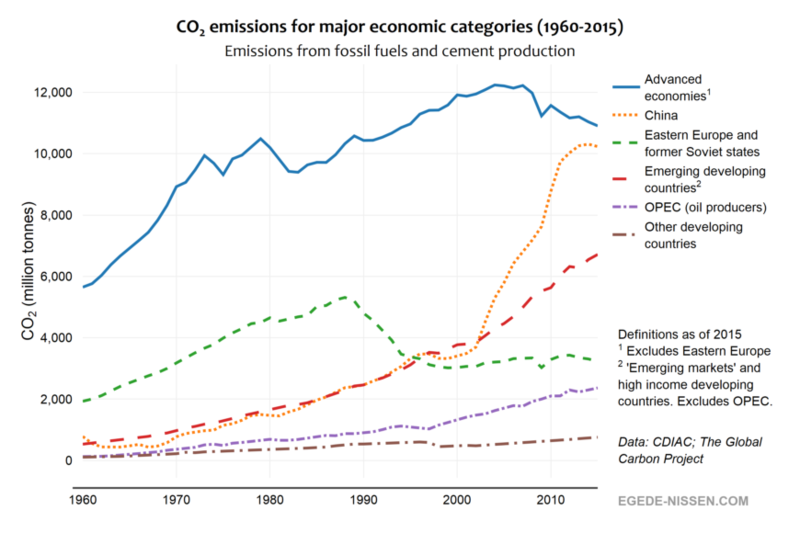 Since 1850, 60% of the total, cumulative CO2 emissions (from fossil fuel and cement) have been emitted by just four political entities: the United States, the European Union, Russia and Japan. Which activities and sectors produce the most greenhouse gas (GHG) emissions? The graph above shows us that they do not necessarily come from the places we might think. With a quarter of all emissions, agriculture and forestry is perhaps the biggest surprise. We tend to think of GHGs as coming from combustion of fossil fuels, in cars, furnaces and coal-fired power plants. But high meat and dairy consumption are two of the main drivers of agricultural emissions, and makes this sector a potent threat — not least because it’s not obvious.